*Note* Click here for a version of this infographic that’s for crafters & hobbyists. It’s identical except for the title. Feel free to share this instead if it meets your needs more closely. This is still a valuable set of guidelines for jewelry designers, metal clay artists, scrapbookers, knitters, soapmakers, woodworkers, mixed media artists, cake designers, and every other craft and hobby that I can think of. Many people think that copyright is a method of preventing people from making anything that’s similar to their work. That’s actually not true. Copyright is nothing more than the right of the creator to control the copying and distribution of his work. But it is an important and powerful concept that you really do need to understand as a polymer clay artist. Copyright is nothing more than the right of the creator to control the copying and distribution of his work. Anything that the human mind creates, such as photographs, inventions, music, books, diagrams, sculptures, beads, characters, symbols, and words, is known as intellectual property and has legal standing with varying levels of protection. The rights of the creator have to be balanced against the rights of the public and there is an entire industry of Intellectual Property Rights law that keeps attorneys and the legal system quite busy. Some aspects of these laws are fairly obvious (e.g. the author owns the rights to his book) but others can get very confusing (e.g. works derived from the work of another). I can’t possibly cover it all here. But there are some basics that, once understood, will help you know the right answer in the majority of situations you’ll encounter. I’ll start by defining a few terms that will help us understand how Intellectual Property Rights (IPR) law affects us as artist and crafters, then I’ll go into more detail about copyright, specifically. A trademark is a word, logo, or other mark that is connected with a business that distinguishes it from that of another business. Everyone knows that the golden arches M symbol is owned by McDonald’s. It is a registered trademark for them, as are the terms Big Mac, Lovin’ It, and Quarter Pounder. You have to apply for registered trademark protection from your government and it’s not automatically granted. But the first person to use a business name or mark in their region does have “common law” trademark protection in some jurisdictions. If you invent something, such as a machine or a process for creating something, you can apply for a patent. A patent gives the inventor legal protection for a specific period of time. Obtaining a patent is an expensive, complex process and you are not guaranteed that you will be granted one. There is a related type of intellectual property, called a trade secret, which includes things such as proprietary formulas, recipes, and secret processes. The laws on trade secrets are very much region specific. Few of us will ever use patents and trade secrets to protect our work and obtaining them is beyond the practical scope of a polymer clay artist’s resources. Copyright is merely the right to copy a creative work. And it only applies to creative works which exist (or could exist) in a concrete form such as a recording, sheet music, painting, photograph, sculpture, text, digital image, document, or computer program. An idea is not protected by copyright. Nor is a technique. Nor a style. Here is a fantastic list of things which are not protected by copyright. You cannot copyright an idea, technique, style, or process. The creator of a work is automatically granted copyright as soon as that work is published in a public manner. You do not have to apply for a copyright. You can, however, register your creative work with your government to establish an undeniable date of origin. If you ever have to sue anyone for copyright infringement, you have more rights if you have registered the copyright. As the copyright owner, you are the only one who owns the right to copy, duplicate, distribute, publish, or modify that original work. Copyright can also be transferred (or sold, like selling movie rights.) Copyright expires after a certain period of time (this is dependent on local law). This is why very old creative works (such as works by Shakespeare and DaVinci) are part of the public domain. This means that the public owns the rights to copy the work, not the creator. When a copyright holder gives others permission to copy or distribute a creative work, that is a contract called a license (the copyright is not transferred when a license is granted). Purchase of copyright protected material does not grant the right to copy it. When you buy a book, you don’t also buy the right to photocopy it. When you buy a CD, you don’t get the right to duplicate it, broadcast it, and use the songs in your online videos. And when your wedding photographer hands you a DVD with the image files on it, it doesn’t automatically include the rights to print those pictures. The photographer would have to grant you a license to do this. And that’s why you can’t take your school pictures to a copy shop and make copies of them for your mother, even if you paid for the pictures. While it is true that copyright law varies from country to country, most countries do have treaties which honor the copyright laws of other countries. I have read of people claiming that their country doesn’t have copyright laws or that the laws in the US don’t apply to them. That’s not usually true. In most cases, local copyright law differs mainly in the details such as duration of the copyright. In most of the world, the fundamentals are just the same. If you create something, it’s yours, and others can’t copy it. There is plenty more information about international copyright law online. UPDATE: This article has now been translated to other languages and updated to reflect the laws of their respective countries. Here is the Russian Version (Thanks to Natalia Ivankova, Venera Novoshinskaya, and Jana van Vliet). Here is the Polish Version (Thanks to Agata Mężyńska). Here is the Italian Version (Thanks to Alessio Gila). Here is the version in Bahasa Indonesian (Thanks to Pintera Kréativ). Although the originator of creative materials does hold the copyright, the public does have some rights to use these materials as well. This concept is called “Fair Use” and is the single largest area of confusion (and litigation) in the field of intellectual property rights. Fair use is a doctrine of situations where the use of a copyright protected material is legal in limited situations such as derivative works, critique, education, commentary, and news reporting. You can read more about how the US handles fair use here. The writer of a tutorial or the teacher of a class is the originator of that creative content and it means that the teacher holds the copyright for the digital file, all the images, any slideshows or videos, the handouts and diagrams, any drawings or templates, and the design of all the samples and examples that the teacher has created. This is true whether the class is free or you paid for it. Purchase of a tutorial does not mean that the purchaser can share it with others, post it online, or distribute it in any way. Free tutorials are protected under copyright law just the same as purchased tutorials. Copyright has nothing to do with purchase, and sale of a tutorial does not imply any licensing for the purchaser to have copyright of any part of the tutorial, class, or design. Purchase of a tutorial does not mean that you have bought the right to reproduce the instructions or distribute the files to others. But what about making things WITH the tutorial? Does that violate copyright? Well here’s (hopefully) some clarity. You have obtained a copy of the instructions to make something, which is a lot like having a copy of a book. The copyright to the text itself and the images is held by the tutorial writer. And the copyright of the artwork illustrated in the tutorial belongs to the artist. As such, you cannot create copies of the text, the images OR the artwork unless allowed by the artist. Of course, the whole point of the tutorial is to teach you how to make the project. So copying the artist’s project is a derivative work covered under the Fair Use provisions above. You’re allowed to make copies of the class project for educational purposes. But it’s not, technically, your work and you do not hold the copyright to that design unless you have met the criteria for fair use. And for a new work to be considered your work (and not a copy of the teacher’s design), there are rules about derivative works which apply. You would need to have transformed the design so much that a reasonable person would see that it’s not the same as the original. It’s not a percentage thing, by the way. And changing the color or adding a button is not enough to be a “transformation”. The “essence” of the design must have been changed. See this excellent slideshow on copyright in fine arts classes. Now this doesn’t feel very good for the student. How much is “enough” transformation? Well, courts spend a lot of time on this very subject, and you could pull your hair out about it for sure. But you’re just going to have to do some soul-searching and go with your gut. Would the average person look at your project and know that it’s a copy of the teacher’s example? Then it’s probably not transformed enough. Does that mean you can’t share or sell your copy of the design? Well, legally, if you wanted to get really picky about it, probably not. But here’s where generosity comes in. Most tutorial writers are very happy to let you share these class samples and tutorial projects because it helps them sell more tutorials. So please DO share them, but be honest about it and give credit to the original artist (with a link to their tutorial if possible). It’s not legally necessary, of course, (legally you don’t hold the copyright anyway, remember) but it’s a common courtesy thing. If you don’t want to do that, then please don’t share these pieces in public. Can you sell them? Well, legally, no, as you don’t hold the copyright and Fair Use protections don’t extend to commercial use. But ask the teacher or tutorial writer for permission and then comply with their wishes. You do not hold the copyright on works created as a copy of the teacher’s project. It is up to the teacher to grant permission for you to share, distribute, or sell those copies of the original artist’s work. But what if your class samples don’t look anything like the teacher’s design? Well, that’s different. Many tutorials teach techniques and not specific projects. If you follow a tutorial and the end result looks nothing like the teacher’s example, and the average person wouldn’t make a connection between your work and the class sample, then it’s considered to be your original work and is not a copy of the teacher’s design. Just because the same technique was used does not mean that the tutorial writer has any copyright on the works you create. It’s only an issue if your result is a copy of the teacher’s design. Copying a design, even when done with a different technique, is still copying, and is a violation of the original artist’s copyright. You don’t have to take a class or follow a tutorial to be violating someone’s copyright. If you copy someone’s design, and you aren’t transforming it enough that an average person would say it’s different, then you’re not making your own design. Okay, that makes sense. I can’t make a copy of a specific one of Doreen Kassel’s cute little birds. I’ll make a “mashup” of them in her style. Is that okay? In a word, YES. Style cannot be protected by copyright, but a design can be. So feel free to make your own little animals in Doreen’s style. Another example would be Kathleen Dustin’s purses. You can make a polymer clay purse. You can even make a polymer clay purse in Kathleen’s distinctive style. But it’s not okay to make a copy of a specific one of Kathleen’s purses so that the overall “feel” of the design has not been changed. What about derivation? Can you look at someone else’s design and derive one of your own? Sure! We all look at other designs all the time. We all get inspiration and ideas from each other. We look at nature, at other mediums, at our children playing and are inspired to create our own designs. This is wonderful. Never feel guilty about making your own interpretation of someone else’s art. There’s nothing wrong with having a stroll through Pinterest or Flickr for inspiration and then sitting down to create a new design of your own. But it’s not okay to print out a picture of someone’s art, take it to your studio, and figure out how to make one just like it. Learn the techniques, sure. Reverse engineer, that’s fine. But apply it to a new design, okay? Don’t copy. And if what you make is close enough that you’re embarrassed to show it, are afraid to be found out, or think it might be a copy, then it probably is. Just like when you were a child writing a report, you knew when you were copying from the encyclopedia. Let your conscience be your guide. Is it okay to say that it’s “inspired by” someone? Sure, go ahead and let the other artist know that you were inspired by their work. They’ll be flattered! But stating that you’re “inspired by” another artist gives you no protection if what you made truly IS a copy. Make your own work. Create your own designs. If you copy a design for practice or to learn a technique, then please know that it’s not your design. It’s not your art, and you don’t hold the copyright. What you do with it is your choice, but be prepared that the original artist might not be so happy to see their work copied so closely. This kind of copying is illegal, unethical, and unless the other artist is a teacher putting their design out for that purpose, you will likely make someone upset. When it comes to characters such as Mickey Mouse or Kermit the Frog, the rights to reproduce the character are granted, in the form of a license, to companies who have purchased that license and want to make merchandise which contains the image or likeness of that character. The license agreement is a contract between the copyright owner and the licensee. If you didn’t purchase a license to create one of these characters, you cannot use the likeness of the character. If you do, you risk being sued by the copyright holder. If you didn’t create the character yourself, then you can’t make art using that character’s likeness without buying a license from the copyright holder. But what if you make a figurine that’s merely “inspired by” the character? What if it’s not in the same style, such as a “kawaii style” version of Ariel? Or a “zombie” version of Miss Piggy? Is that legal? No, it’s not. As long as the character is recognizable as that character, it’s a violation of the copyright and the owner can sue you for infringement. In fact, if you sell copies of licensed characters, be aware that many of these companies are quite aggressive and will very readily sue you. And they’ll win. They have lawyers on staff and deal with this everyday. You don’t. One of the most frustrating and disheartening things an artist deals with is copiers. It’s just so awful to find that someone has stolen (and yes, it’s stealing) your intellectual property and made a copy of it. Some people say that an artist shouldn’t ever publish anything they don’t want stolen. That’s just silly. That’s like telling a theft victim they shouldn’t have had a nice car if they didn’t want it stolen. How can you stop people from copying your work? The short answer is that you can’t. There will always be sneaky, mean people looking for an easy way. But you can make it harder for them. If you’re an artist, publish your work. Get your name out there, with links. Write articles, have a website and blog, be visible. If the community knows you as the maker of that type of work, any copiers will be called to task by your peers. If you hide your work from the world, nobody will know that it’s yours and if someone copies it, nobody will know it wasn’t their work. Label your work as yours. Use a signature stamp or cane slice. Also, a discreet watermark on your photographs isn’t so much for preventing theft, as much as it’s for informing viewers what your work looks like. It’s branding. If you don’t want your work to be copied, make work that’s difficult to copy. If your designs are merely a “collection” of several commonly known techniques, it will be very easy for anyone to make the same designs (intentionally or accidentally). Don’t be afraid to develop your own artistic voice so that your designs have an essence that’s very difficult for others to imitate. If you write tutorials, do include a copyright statement. But also consider making a point of explicitly granting a license to your purchasers to make digital copies of the tutorial for use on all their devices and a print copy for their studio. This gives you a chance to frame your customer’s rights in a positive way instead of the usual ominous warnings. It helps to establish that sharing the file or printout with others is not okay, but frees your customer to use your tutorial easily. Most customers will feel far more comfortable knowing where they stand. Understand the difference between copyright and license. If you are okay with your students selling copies of your work, then grant them a license to do so. Be clear about which designs that you will allow them to copy. You will always hold the copyright, but by granting them a license, you are entering into a contract with them that allows their use of those designs, and defines the terms. But mostly you just have to keep making creative work. The best way to fight copiers and imitators is to be a better you than they can be. You will always be a better you. As if copyright law wasn’t confusing enough, things get really weird when you start looking at social media. There is litigation pending that will likely reform the way we look at copyright law in the future. But for now, the reality is that images get shared online constantly. Keep in mind that your images will likely be pinned to Pinterest or shared on Facebook. If you don’t want this to happen, you should keep them private. If you share other people’s photos, though, please make sure that credit stays with the picture and it links back to the original source. DO NOT download other people’s photographs without their permission. Instead, bookmark the link. And if you want to share an image online, SHARE it…don’t steal it. Use the share button on Facebook and the repin button on Pinterest. Both Pinterest and Facebook work hard to respect the privacy setting and ownership of images, so don’t try to circumvent their limitations. If you want to share an image but don’t know the original source, you can often find it by doing a Reverse Image Search. It seems like there’s a lot here that you can’t do. But honestly, the only thing you can’t do is copy another person’s intellectual property. You can get inspiration from others. You can use the same color palette as your favorite artist. You can use the same techniques. You can use the same materials. You can work in the same style. You can use tutorials. But you have to make your own design. Do your own work, make your own magic. You can’t use images from the internet unless you have the permission of the copyright owner. Just because clip art or a font is online doesn’t mean you can use it. And if you’re using an image for commercial purposes, like using an image transfer on some earrings you sell in your Etsy shop, you need to obtain images that are licensed for commercial use. Be aware that many free clipart sources are licensed only for personal use. Also know that doing a Google image search and saving the image from the search screen can be very misleading. Unless you follow the link to the original site and check what the source is, you might be unknowingly downloading someone’s copyrighted artwork. Keep in mind that almost every image on the internet is owned by someone. Unless they give you specific permission (license) to use it, you risk copyright litigation. This really does happen. Using stamps, molds, texture sheets, decals, and templates in your work is a controversial area as well. These items are subject to copyright and don’t typically give you explicit license to use them in your creative works. We all assume that you’re allowed to. But unless you contact the manufacturer and ask permission specifically, it’s best to reserve these materials for your personal use. Because of this issue, some artists just don’t use such things in their work. They make their own stamps or textures. You might want to do this if copyright concerns or full originality of your artwork is important to you. You can’t distribute copyrighted materials such as tutorials themselves, the pictures or text in tutorials, drawings or templates, or the digital file of a tutorial. Don’t take a class or buy a tutorial and then teach that same content. If you want to be respected as a teacher then you need to create your own curriculum or tutorial. It’s also not okay to give a demo of a purchased tutorial in a guild meeting unless you’ve specifically asked the originator for that permission. Please do ask for permission. It’s fair to the teacher and it builds respect for YOU as a valuable member of the community. Nobody likes a copier or a cheat. And your reputation will suffer if you do this. Word does get around. Thank you for following along with me on this fascinating and complex subject. I hope this article gave some clarity for you. If you would like more information, though, have a look at these links and online resources that I consulted in pulling this article together. There is a lot of excellent information out there, you just have to go find it. You guys know I’m not a legal expert and this is not legal advice. The information I provide is true as far as I know, but I could easily be wrong. This is just an overview and summary aimed at polymer clay artists. If you need more information, please read up on it yourself (see the links above) and of course, consult your attorney for any information about your specific situation. Many gracious thanks to Donna Greenberg, Katie Oskin, Tonja Lenderman, Desiree McCrorey, Jeannie Havel, Melanie West, and Lizzi Bucklow-Holt for their kind assistance, support, consultation and advice with the infographic. You girls rock! I normally write about polymer clay, not just copyright. I would love to have you join me! Just fill out the boxes and you’ll get an email when I write a new article. Thank you! I actually contacted several companies and did ask them whether I could use their stamps and sell the creation. I also showed them examples of my work. There were really generous companies (I saved all the emails ^^) and others who required an extra stamp with their logo to be attached to the created piece (was intended and could work for cards but definitely not my beads)… You can image from which company I am buying stamps and where not. You’ve put a lot of effort into this and I thank you. Copyright is an ongoing concern to crafters/artisans/writers and it’s not easy finding your way through all the legal verbiage. Thanks for your effort!! Thanks Karen. It is a confusing subject! Techniques can’t be owned unless they’re patented or registered as a trade secret. So the retro cane, Stroppel cane, Skinner blend, teardrop blend, crackle technique, sutton slice, etc are not owned by the people who created them. This also holds true for the more complex processes that some very famous artists teach. We can hope that people will be respectful of the hard work that teachers do and would respect the integrity of their comprehensive processes. But there isn’t a law that does it. But worrying about who owns a technique, especially some of the more universal ones, is kind of silly. Some things just are. This comes at just the right time! Considering the upset that just occurred over at Dan Cormier’s, this is very valuable information. Oh I’m not going to get into the middle of that one! 🙂 But the law is pretty clear on the subject. This is really a great article !! Thank you for doing research and sharing this information ! I had an Art teacher in Jr. High who told me copying is okay because no matter what your copy will never be exactly like the original. It’s impossible to copy an original artwork of someone unless you photocopied it or whatever but to recreate it will never look the same. But she did explain that if you are to copy anything make sure there are differences from the original and always add your own unique spin to it. I still prefer my own creations but I do look at others for ideas or inspiration to apply to my own creations but never copy. I’m gonna share this to my blog. It’s very helpful stuff !! Well, you can easily copy a design and people do it all the time. If another, reasonable, person would look at it and say “hey, yeah, they’re the same design” then it’s copy. So it’s far more than the individual tweaks of color and “brushstrokes”. You have to create a new design entirely. But yes, people do seem to be awfully afraid of accidentally copying. And thing is, that’s really hard to do. Copiers know what they’re doing. It’s almost always intentional. By the way, thank you for blogging about this. I hope your readers find the info helpful! I’ve been trying to print a copy of your diagram to put on my studio wall but can’t seem to get it to work. Any answer for me? I am married to a retired patent attorney and we have had these same type of discussions over the years. If you click on the image to “biggify” it, then right click to open in a new tab, you will have the image in a new tab itself. Then you can print it from there without the rest of the page getting in the way. Bravo! Lots of info here and lots of noise across the www concerning others ‘copying’ their works. As an avid knitter and a huge admirer of those artists utilizing clays, I have to say that I can point to several who are complaining as having ‘borrowed’ a bit of someone else’s work themselves. Whether intentional or not…there’s not too much left to the imagination it seems. As someone recently stated…if you have the ‘flavor’ of someone else’s work in your own piece, they should take it as ‘a form of flattery’. Perhaps, although I can’t say that I totally agree. Tutorials are meant to offer its viewers somewhat of a ‘how to’ and they are not intended to be replicated. They are meant, with the kind spirit of sharing, to serve as a basis for one to build upon with their own imaginative flair. The same goes for anyone’s personal art. I view someone who copies another’s work so closely as to be identifiable… as no true artist and they should be embarrassed. I agree with you. Make your own art, if you’re an artist. But there are a lot of people who don’t feel comfortable making their own changes and adding their own voice. They want to follow a procedure by the book, down to the last detail. And some of them sell the product as their own art and then wonder why they get in trouble. They figure they bought the tutorial, so they own the design. And it’s just not true. Ginger, this is wonderful. I would like to know if you would let me copy this in it’s entirety and give it as a handout to all of my students, past, present and future. SOMEONE HAS GOT TO TEACH THEM. It would be great for my metal clay and fused glass students to have. Yes, Lorrene, please do feel free to share the infographic. It has my link on it, it’s ready for sharing. If you open the picture in a new tab and print using Ctrl-P, then it should print nicely on landscape. You have written an excellent article. Any artist would be able to find guidance here. I am bookmarking and recommending this one for sure! Ginger, Thank you so much for all the work you’ve done to clarify this! We should all be most appreciative of you! I know I am! Thanks, Ginger, this is a really good, easily understandable article on a very complex topic we should all be aware of. Thank you so much for taking the time to write it and for sharing it with us. Ginger thank you and all the rest of the folks who collaborated on this article with you. Getting through these “muddy waters” is such an ordeal for some of us. I really got a handle on all of this because of your article and the wonderful links you provided. Incredibly informative and helpful. I did not know the use of others stamps and molds are only allowable for personal items unless you contact the manufacturer. I have used commercial ones on things I sell and I will not anymore. I make my own as well, so this is great information for me. You always do such a great job, I really enjoy your blog and always look forward to your posts. Thanks Betsy. It’s one of those “well…technically” kinds of situations. Everyone does it, and likely the manufacturers just don’t bother with it. After all, their goal is to sell stamps, not preserve their stamp images. So I wouldn’t worry about any lawsuits or anything like that. But in order to have full originality in your own art, you very much might prefer to stick to your own original stamp designs. I really like the full originality idea … something for me to strive for. This is a well written article. Thank you for your hard work and research on this topic. Your talent for writing is evident! What a well timed article!! there is a discussion going on with ETSY at present on copyright. Could I please have a link to this article and make it available for my fellow Etsy sellers. I was selling my photography some years ago and had a few run ins with a 2 companies in China that were copying my work and reselling it through the cheaper $$$ shops. I have used bought stamps in my work for selling at my markets and on Etsy I didn’t realize I couldn’t do that? thank you for a well written and informative article, as are all your articles. 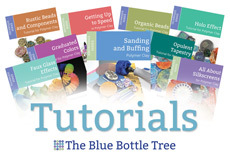 Just use the URL at the top of the page, that’s this one: http://thebluebottletree.com/copyright-guidelines-polymer-clay-artists/, and yes please, do share. It’s worth it if we can stop some copiers and also put the mind at rest of the people who are worrying needlessly. Knowledge is power! As for the stamps, I couldn’t get any clarification about it. It seems to be a gray area and one to be aware of. You certainly can’t use images to produce silkscreens, for instance. I’d be safe and drop the Etsy seller a line. They’ll say yes, of course (they want to sell stamps) but permission is always appreciated, even if it’s a technicality and formality. Alot of stamp company/creators are Angel Companies. An Angel company grants permission for use of their stamps in any commercially sold creation in which the end purchaser/user has created it by hand!!! Yes, and angel companies are wise, they know that granting a license gives a lot more freedom for the purchaser. I wish more companies would understand the need to be explicit about permission, not just leaving it for the customer to try to figure out. Wonderful article. I may have missed it, so please pardon if I did. One can usually google “angel company” or “angel policy” and the name of a maker of stamps,parts, etc to find out the conditions for using their designs; usually some sort of limit to handmade items within a certain quantity and it sometimes affects where the items may be sold. Of course one can also contact the company directly for the angel policy. I am always very careful to find out the angel policy if I am to incorporate anything into my work. Regarding my own research on international copyright law, my understanding is that anything created before 1923 is in the public domain and anything created after 1923 becomes public domain 70 years after the death of the maker. A tricky area: while the Mona Lisa is in the public domain, the photo taken of it is copyrighted to the photographer. Correct. And the Angel Policy is really a licensing contract between the stamp seller and the purchaser. Not really enforceable from what I read, but is a contract not a copyright issue at all. The same goes for cottage licensing on knitting patterns. I looked into this, expecting to find tons of law on it, but there was very little from any official sources. Bottom line, if it’s not your motif (art), then it’s not yours. Period. Using it in your art would then be a derivative work and that’s subject to the rules of Fair Use. And that means that commercial use is not okay unless so licensed by the manufacturer. Hence the Angel Policy. But most stamp companies don’t even bother. Like I said, a huge gray area. You have written a thought provoking article. I would like to make a couple of points though. The first point is that many rubber/acrylic stamps are made using classic images and patterns that are already in the public domain. In these cases the manufacturers of these stamps would not be able to demonstrate copyright of the images. They themselves are simply copying pre-1923 images and patterns that anyone has a right to copy. I grant that unless you are already familiar with the images and their copyright status you would have no idea whether you could use them or not. It’s probably a lot simpler to use images already in the public domain to make your own rubber or linoleum stamps. The second point is that there are many free images on the Internet that can be legally used for commercial and private use without obtaining permission from the owner. An example is https://openclipart.org/share which allows artists to release their rights and freely share their work with anyone (with attribution). Another example is Flickr which allows photographers to post their images under a Creative Commons license which can include commercial use and modification. Obviously it is incumbent upon the person copying the image to make sure that the license clearly allows commercial use of the image. Yes, you clarified some points that I didn’t get a chance to cover. Thank you. There are plenty of free images on the web, yes, but you still have to check what the license is for each image. Which many are licensed to be permission free, there are far fewer that are licensed for commercial use. Public domain imagery is an excellent resource, I’m glad you provided the links. Thanks, Ginger! I was mulling over an issue for an upcoming tutorial of mine, and I think you answered my concern. Well I can’t really give my opinion without seeing both. But from everything I’ve read, you can’t claim a technique as yours. As long as you don’t use the same words, images, diagrams, etc, you should be fine. What I always do is read and learn and fully understand the process, then close the book and go off and write it again in my own words. But giving credit, not even as “inspired” but by saying, “for a more comprehensive look at color mixing go here” would be very appreciated. Make sense? Thanks for all your hard work on this; that flow chart is amazing! Another well thought, informative article. I have tried to stay away from the battle brewing over this issue, and you have clarified and given support to my own instinct that a technique or idea cannot be copyrighted. I think there is much confusion surrounding this point, so I was quite happy to have you clarify it. Thank you once again for your in depth research and reporting. I think the business of technique ownership has been a huge hot point in the polymer clay world in particular, which makes it different than many other art communities. Technique is a tool, but so many truly feel that they own the ones they develop. I can appreciate that (I write tutorials too), but ultimately the law has to apply. This phrase is what causes most of the confusion in the crafts world, where people are purchasing (or finding ‘free’) tutorials and then publically showing their work from said tuts as their own. This phrase is used over and over as a rebuttal to artists and designers that try to protect their copyrights from people that think the items made from tutorials are “ideas” and therefore cannot be copyrighted. Only the actual, original tutorial illustration or drawing is copyrightable, they state. BUT, if an Idea manifests itself as a 2 or 3-dimensional design and is a recognizable design that would be confused with the original creator’s design (idea) – that creation from the “Idea” is copyrighted the instant it is created. That is a design or a work of art. Stated another way, if the original artist ‘s work and the student’s work were laid side by side, and they looked the same or very similar, as you stated, it could be confused as the original creator’s work, therefore the student’s work is a copy. There is always an Idea behind every design and every work of art. It is the Manifestation of that Idea, technique or style into a “tangible creation” that can be copyrighted. This is what almost everyone is confused about. So I always say “If it looks like a duck, quacks like a duck then it is a duck.” The lawyers that I have consulted say the same. It is the fixed, tangible form of an Idea or technique that can be copyrightable. And that copyright always belongs to the original creator. Thank you for allowing me to add to your great discussion. It’s hard to put more explanation into a flowchart. 😉 It’s incomplete, but it does give the basic gist. Bottom line, copyright is nothing more than a content creator’s right to control the copying/duplication/distribution of their own tangible creation. So an idea is not able to be copyrighted because the thing being regulated is the copying of the tangible item. The only reason the concept of “idea” comes into play is when there is a conflict in the determination of whether a derivative work is a copy or not. In that case, the original artist’s intent (idea) is relevant because it helps establish if the copy is a copy or not. In order to be ruled a new creation (as opposed to a fair use derivative as opposed to a flat-out copy), the new work must have a new “essence” and that is squarely in the realm of ideas. But in general, a artist’s ideas are not able to be protected by copyright. You couldn’t talk about your idea on TV one night and then try to claim copyright infringement when someone made your idea. Copyright is for tangible things (or things that could be tangible such as a digital photo). All the discussion of fine points can go on forever in these cases and we’re certainly not the first ones to get caught in the web of trying to figure it all out. But I still think the diagram is a good overview that gives people a place to start. If they have more questions, then more research would be a very good idea. Thank you for the reply, Ginger. This is certainly one of the best discussions that I have read recently. Thank you for a very informative, enlightening explanation of the Law. I have no intentions of ever selling anything I may make, but it is better to know than to claim ignorance. I have pinned your article on Pinterest so hopefully your research will spread further afield. Thank you, Pinning is always good. I appreciate it! Regarding an earlier post re:rubber stamps which use public domain images: While the original image may be public domain, the image you stamp from a company’s rubber stamp is not…it is still theirs…it has nuance…little lines and details etched into the rubber that make it theirs, It would still be considered their interpretation of the public domain image. It’s slightly akin to my earlier post re: the Mona Lisa. The Mona Lisa is public domain, but unless you take the photo yourself, the photo of the painting is copyrighted to the photographer. If photographed before 1923, the photo would be public domain as well. It’s a very complicated area and important if one creates work that is seen publicly. ETSY is a wonderful resource for digital images where one can view the shop’s policies for usage. It is also a great resource for original rubber stamps from shops with great Angel policies. Actually, it’s even more confusing. If you take a photo of the mona lisa, your photo isn’t necessarily your copyright. Seriously! When a photo is merely documentary and any number of people could have taken the same photograph and it would look identical then it’s not considered a unique piece of personal expression. The laws are actually pretty good, they cover a lot of little things like that. But yes, you are correct in general. And thank you for mentioning Etsy as a good resource. So many small sellers are making wonderful images for use, stamps, too. But always, always be sure to check on licensing. I have a question, a couple years ago I was accused of copyright infringement for copying a shape. This person said they owned the rights to this shape. Is it possible to have a shape copyrighted? Could be. Maybe so, maybe not. I can’t say without knowing more and I’m not a judge anyway! But one of the more frustrating situations that arises from people’s zeal to protect themselves from copiers is that they can become somewhat of a bully if they don’t fully understand the limitations of the law. Sounds like you’re better off without that situation in your life! For years now in various areas of crafting, I seem to be different from most who write how-to books or come up with tutorials, etc. in that it seems like the format (especially in books) is to present techniques with accompanying projects, which are clearly stated in the copyright notices as being only allowed to be made for personal use. What I wish is that more how-to books or other learning media would focus much more on just teaching the general techniques and let each of us creative people figure out what to make. I do know people who just want to make that thing they saw, and I understand it – they really like that one piece – but it’s just not usually how I roll. I want to know the basics and maybe see a few examples and I can take it from there. I also believe that patterns, molds, stamps, etc. should have generous angel policies that would allow a home crafter to sell items made with them with a minimum of hassle, and just have a definition of what would be too much, such as running a factory to mass-produce the item. I guess I lean toward more sharing and fewer restrictions. Yes, there would be things to fight against – greedy people who will take advantage. But sharing ideas ultimately generates more creativity, I think. However, I’m more of a hobbyist than a professional, and I know the professionals feel a need to guard their income from their sales. Tough balance, that. You make a good point. How can a manufacturer know if the end user is just a crafter/hobbyist or small business vs a mass producer? Giving a license would also give the mass producers a license, and if you put a limit on it, how would it be enforced? Tough balance indeed. And I’m with your about the project tutorials, but a surprising number of people prefer them. They have limited time/effort to invest, want a specific outcome, and would rather focus on technique (rather than design) the first time through. Design does take effort, and sometimes you want to create without taking THAT much effort. Not all project-based learners are copiers, they’re just different learning styles. But it’s really hard to come up with rules and laws that work for everyone. Very interesting reading, thank you. I wonder how the idea of templates would factor into that. It sounds to me like an area of legislation that’s not fully fleshed out yet. I would argue (not that my opinion matters, but hey) that the item from a sewing pattern is not copyrightable, I get that, but what if it’s not a utilitarian item? Like artwork? Like paint by number boards for example? Or a cross stitch pattern? And I wonder about the distinction between the artwork of the pattern pieces themselves and the finished item. I’m thinking in terms of quilting patterns vs the quilt. That kind of thing. Very interesting. This kind of thing is very important to the hobbyist and small business world, but I suppose without legislative lobbying power it’s a pretty insignificant issue in Congress. Sigh. Thank you so much for the link. Someone who created a work via paint-by-number would not be able to claim that they own copyright in the resulting painting unless they could demonstrate that they have somehow created a new original work. There is generally no NEW creativity/originality expressed when following a pattern exactly, so a user would not hold a copyright in whatever they made. Instead, the creator of the paint-by-number is essentially giving users a license/permission to make a copy of their work, via the paint-by-number tutorial, but the creator retains the copyright to the work. Harriete Estel Berman has written extensively on the subject of copyright and ethics, I love her thoughts and she has many video lectures on ethics and copyright. I wish everyone would read them; unfortunately there are people out there encouraging makers to copy! I also have people telling me that my tutorial is a ‘pattern’ that cannot be copyrighted. I even call it a pattern. So just what is the difference between them? Is it the utilitarian aspect of a sewing pattern that they are thinking of or what? thanks again, Ginger! I love Harriete’s articles on this subject! She’s tireless in speaking out about this subject. But in terms of ethics, I think we all know what copying is. And people who create their own content should be able to have the rights to control copy of it. I always thought that was the case with licensed characters. There seems to be a misconception that if it is “your-own-version-of” then it is ok, whether it be Disney characters, book, & movie characters, etc. There are a lot of misconceptions on this issue for sure. Excellent piece. Thank you for tackling this very confusing subject! The ones that are aware of the situation are very good about it, yes. But the point is that you really need to ask and find out. Oh gosh, I’m not someone who can judge such things! I just reported on the laws the best I could figure out. A couple of points, though. Merely changing medium does not mean that an item is changed enough to no longer be a copy. The changes must be significant and change the overall feel of an item. It is a judgement call for sure, and this is why there’s so much conflict and worry about this subject. Copying a style is not copyright infringement. Copying a design is. You have to look at your own gut on this. And maybe ask some trusted friends to look at both and see if they think it’s a copy or not. If it has the same intention, essence, feel, it’s a copy. If it has a very different meaning and has been totally transformed by your own voice, it’s yours. It’s not something that can be put down in black and white, though. It’s a judgement thing. I am working with someone to get translations in other languages, but I don’t have anyone for French yet. Hopefully soon. I ‘ ll be waiting. .. Thanks for your answer. This report on copyright and other laws is VERY helpful to me. Thank you so much for putting so much effort and time into this. It has encouraged me to re-consider setting up a small business. Maybe I can do it! You can! Just do a lot of research. And remember the old line: “Being in business for yourself has tons of flexibility. You can choose which 16 hours a day you work!” But it’s OH SO worth it. Ginger, I did not read ALL the questions & comments above, so this may have already been answered. Sorry if it has and I’m asking again. I’m confused. There is a Facebook group that I’m in. “Polymer Clay ~ Buy & Sell”, I see ALOT of Disney characters being made and sold. (Lots & lots of Frozen characters). Is this level? If not then why are they doing it? I know the group you mean. No it’s not legal. They do it because they don’t know any better. Or they don’t care. It’s a huge issue. It’s also frustrating because whenever anyone brings it up and tries to educate people, the people in the group don’t take it well. I’ve posted the link to this article in that group several times, and it gets ignored. Oh well, all I can do is try. People, ultimately, make their own decisions I suppose. Ok so I’m not confused. It’s not legal and I would never do that. I was gonna post your link with your name of corse, but you’ve done that and they don’t care. It’s sad. My post got removed. Go figure……. Thank you for such an informative post on Copyright. I was looking for information to share on my website but your post is so good, I plan to share it. I am now going back to your site to have a look at your beautiful creations. This is a really awesome article! Thank you for taking the time to write it in a format that an ordinary person can understand! I recently had someone use photos for some of the patterns available on my blog (they were using photos from many other bloggers/designers as well) as a catalog of items they could make and were selling. I was absolutely devastated! I work really hard to create quality content and build my own brand. The online craft community is usually so generous and caring. Thanks for your well-researched information on the topic.